Yesterday I was asking if the BC Liberals were ahead. The answer was a likely yes. 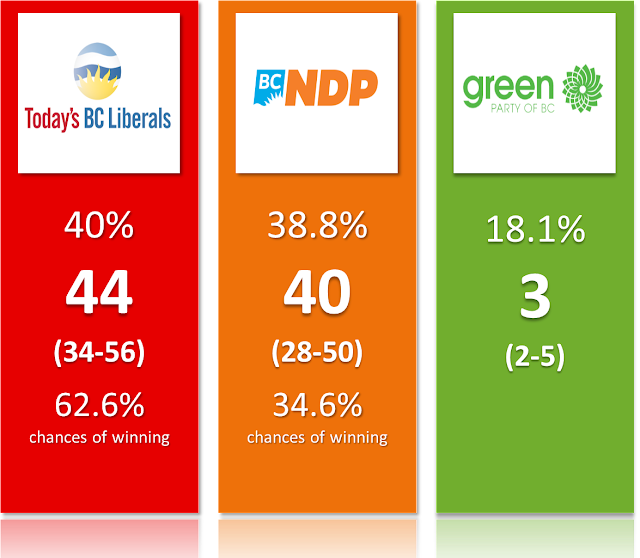 And then we got a new poll from Justason putting the party of Christy Clark well ahead, 39% vs 34%, thus confirming what I was saying. This firm previously had the party of John Horgan ahead, then a statistical tie and now this. We won't know for sure until we get the last polls from everybody, in particular Mainstreet, but it's pretty clear the trend is positive for the Liberals. The most up to date projections are below. 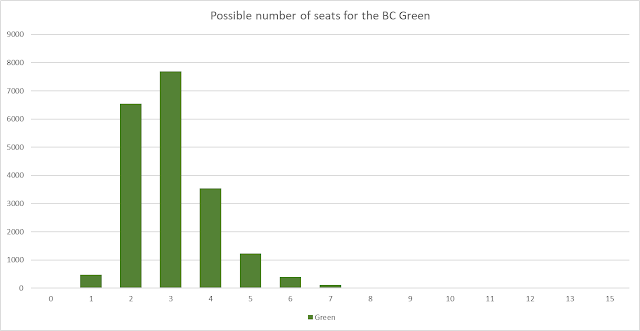 If you want the details, go to BC election page. 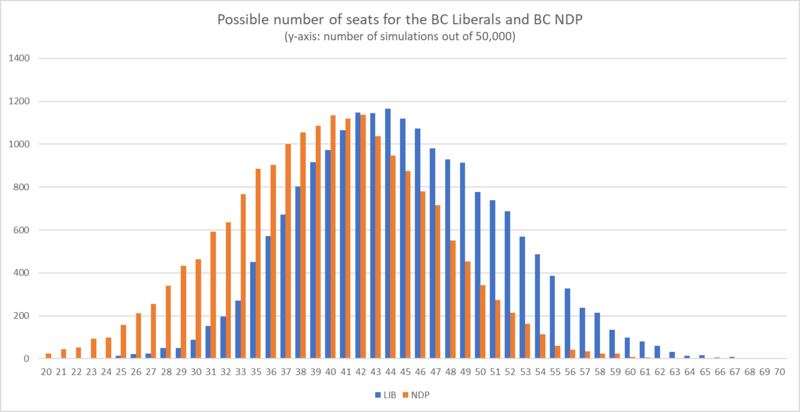 There are a high number of really close races (look at the riding by riding projections available on the BC election page). This is why the NDP remains in this contest. But it's getting to the point where this party will need to hope for the polls to have underestimated it. If you want to see the possible distribution of seats, here they are (again, I put the Green on another graph because the x-axis is very different for them). So the race isn't 50-50 anymore, it remains one of the most uncertain elections I've ever covered on this site. By the way, I invite you to read my article about trying to use Twitter to predict the election.